The RF323 is a 450 to 470 MHz radio. Campbell Scientific’s RF320-series narrowband UHF/VHF radio transceivers provide a long-distance telemetry option for communicating with remote measurement stations. Each radio includes a configured Ritron DTX-L radio, a mounting bracket, and a cable for connecting the radio to a radio modem. The different models vary by the frequency ranges they support. The RF323 is programmed by Campbell Scientific to the frequency that was assigned by the Federal Communications Commission (FCC). This frequency must be specified at time of order so that it can be programmed into the radio. A user-supplied antenna is required for each radio; contact Campbell Scientific for more information about selecting the antenna and cable. Each radio must also be connected to an RF500M or RF310M radio modem. 21X (retired) This data logger is only compatible if the RF500M radio modem is used. CR10 (retired) This data logger is only compatible if the RF500M radio modem is used. CR1000 This data logger is only compatible if the RF500M radio modem is used. CR1000X This data logger is only compatible if the RF500M radio modem is used. CR10X (retired) This data logger is only compatible if the RF500M radio modem is used. CR200X (retired) The CR200X-series dataloggers are only compatible if the RF500M radio modem is used. CR206X (retired) The CR200X-series dataloggers are only compatible if the RF500M radio modem is used. CR211X (retired) The CR200X-series dataloggers are only compatible if the RF500M radio modem is used. CR216X (retired) The CR200X-series dataloggers are only compatible if the RF500M radio modem is used. CR23X (retired) This data logger is only compatible if the RF500M radio modem is used. CR295X (retired) The CR200X-series dataloggers are only compatible if the RF500M radio modem is used. CR300 This data logger is only compatible if the RF500M radio modem is used. CR3000 This data logger is only compatible if the RF500M radio modem is used. CR310 This data logger is only compatible if the RF500M radio modem is used. CR500 (retired) This data logger is only compatible if the RF500M radio modem is used. CR510 (retired) This data logger is only compatible if the RF500M radio modem is used. CR6 This data logger is only compatible if the RF500M radio modem is used. CR800 This data logger is only compatible if the RF500M radio modem is used. CR850 This data logger is only compatible if the RF500M radio modem is used. 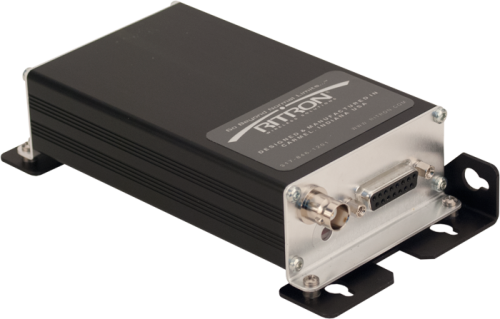 Can an RF500M work with a GPS device for vehicle tracking systems? No. 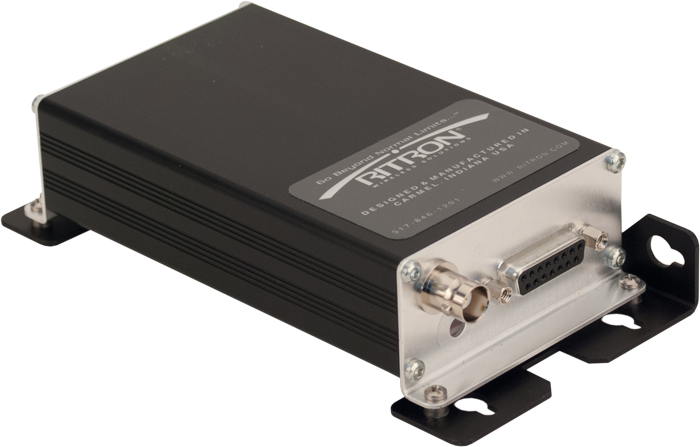 The RF500M cannot be directly interfaced with a GPS receiver. However, most Campbell Scientific data loggers can be interfaced with the output from a GPS receiver and programmed to extract the positional information. This information can then be accessed via an RF500M/RF320 RF link. Can more than one antenna be connected to a single radio? It is possible to connect two antennas to a single radio via a properly specified (operating frequency and power handling capability) two-way, 50 ohm RF power divider. One example of this type of power divider is offered by Pasternack. Note that using a device like this will induce additional losses into the system (3 to 4 dB, typically).